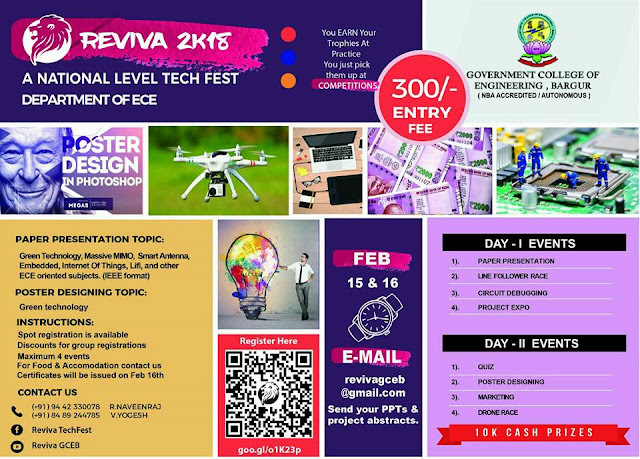 About Event: A National Level Tech Fest. 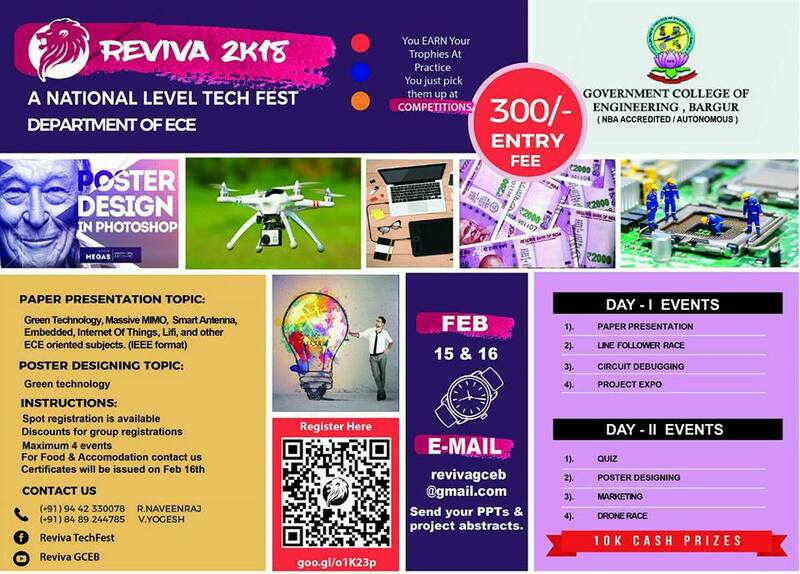 Events: Paper Presentation, Circuit Debugging, Project Expo, Line Follower Race, Drone Race, Technical Quiz, Marketing, Poster Designing. Important Dates: "15th February- All Technical Events 16th February- Certificates Issue"
Contact Details: "R.NaveenRaj - +919442330078 V.Yogesh - +918489244785"